OK, you say you want to make money at the racetrack without the toil and stress of hours of handicapping. You don’t want to get rich off the game — you just want to make a small-to-middlin’ supplemental income or, at the very least, some decent pocket change. Well, how does making @20 cents on the dollar sound? That’s about 14 times more than the bank pays these days. And how about doing this simply by letting someone else do all the work for you? I.E., the Public Handicappers! “At the age of 70, I have finally seen the light! I have handicapped my guts out for years with just fair to middlin, results. I finally decided that I had had enough, and if I didn’t find a simpler solution, I would simply give up the game. What you are about to read are the results of that long and painful search. NOW, I know we all love action, but the reason I’ve been successful with this method is because I stop once I’ve made a +20% or greater profit. You can continue to play after this point and perhaps make much more. But if you are betting to earn a steady, dependable income, then stopping when you reach a +20% or greater profit will guarantee that income for you. 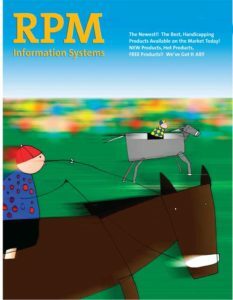 ☛You can use any public selector – drf, local newspaper handicapper, even the track program selections! Day 1: cashed a total of $101 tickets on first three races earning a +31% ROI. Day 3: lost all bets on first two races — cashed $116 worth of tickets on races 3 thru 7 for a +24% ROI. Day 4: cashed $51 worth of tickets on race #1 for a +356% ROI! Day 5: cashed $109 worth of tickets on races 1 thru 4 for at +38% ROI. So you can see that money was made on every day. There will be some losing days, but they will be in the small minority. Just to let you know, had I continued thru race #7 on days 2 and 4 my winnings would have been depleted and I actually would have had losses. On day 5, though, had I continued thru the 7th I would have picked up an additional $102 worth of profit. On many days, using even the minimum wagers, you will have cashed at least $100 worth of tickets by race #3. So, what do we have here? We have a ‘formula’ that can make you steady profits at the racetrack. No, you won’t be rolling in dough, but you will be accomplishing what darned few horseplayers out there are: MAKING MONEY AT THE RACETRACK. Your biggest decision is choosing which Public Handicapper to follow. Then, you simply follow my wagering formula, and pretty soon you will be playing on ‘their’ money and never looking back. 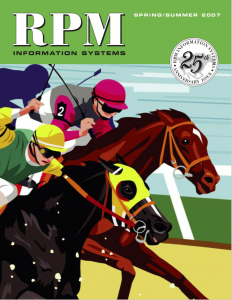 So what Does a Public Handicapper Know? 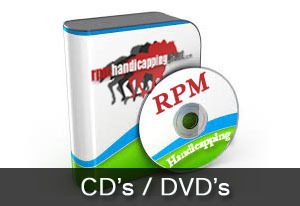 The minimum requirements for a Public Handicapper to keep his job are: 1) a thourough knowledge of handicapping; 2) possess the best ‘parallel’ time charts for each track and circuit; 3)access to RESULTS CHARTS, plus any supplemental notes on each horse (note that the public handicapper has access to more notes, films, opinions, etc., than the general public does; 4) complete knowledge of the ‘condition’ book for his circuit — this allows him to know when a race may be written for a particular horse; 5) knowledge of ‘shipping’ trainers who have a way of shipping their horses in and winning or hitting the Exacta; 6) a thorough knowledge of the winning owners, trainers and jocks on his circuit. What Does A Public Handicapper Do? They make informed decisions based on the above requirements. The operative word here is ‘Informed’. And because they are ‘informed’ they produce winners in the range of 28% to 30% each year, and they are by no means all favorites. Much of their work is proprietary, or a bit on the ‘secret’ side if you will, and it’s very likely that they have access to some very powerful computer programs and databases. They also ‘hear’ things, from Clockers, Trainers and crack handicappers they are aquainted with. With all this data at hand it is easy to see how they can pick winners at a 28%+ rate even though they are required to handicap every race. Basically, since they are already picking winners at a better rate than the average handicapper can, it makes sense that if we can find a logical way to tap these handicappers’ knowledge, we should be able to turn a profit off of their efforts and hard work. I found a way to do this which virtually guarantees that you will earn a minimum of 20% on every dollar you wager. Public handicappers are EXPERTS, make no mistake about it. Many people say ‘you can’t make money betting public handicappers picks’. DON’T BELIEVE IT…the formula presented in this system has PROVEN TO MAKE 20% OR MORE ON YOUR MONEY! Remember, each public handicapper must continue to provide a reasonable percentage of winners to keep his job. I take advantage of this fact in Fistful Of Winners. Now, you can use any handicapper you wish — I use the Daily Racing Form, but you can also use your local newspaper handicapper, program selections, or whoever you choose. My formula is a wagering formula: You pick the public handicapper you wish to follow on a given day – you are welcome to change and try another the next day — and the program picks you get in your Daily Program can also be used with great success – it really doesn’t matter. My formula suggests that you bet a minimum of $14 per race (or in multiples thereof it you are a bigger bettor). 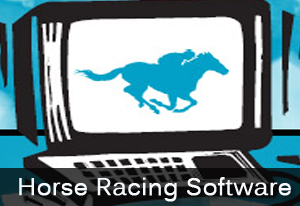 The formula will show you exactly which horse to bet and how to bet it. It takes literally seconds to make this decision. See for yourself – I guarantee you’ll love it! A Fist Full Of Winners is the first recognized workable handicapping method that actually allows the player to make solid profits by letting somebody else do the work, i.e., the ‘Public Handicapper’! All You Have To Do is Pick the Handicapper/Program Selections, etc. 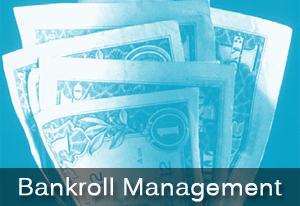 you wish to Follow and then apply the very simple wagering formula. Give it a Try. Just $49.50 with a full money-back guarantee. or mail you payment in today! !